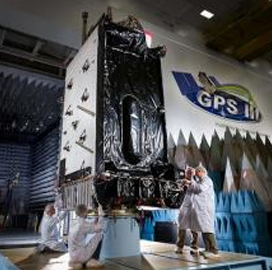 Lockheed Martin has started final qualification testing of ground control system updates meant to help U.S. Air Force personnel fly a Global Positioning Systems 3 satellite, C4ISRNET reported Friday. The service branch asked Lockheed to update the Contingency Operations platform to support GPS 3 operations until the Operational Control Segment being developed by Raytheon goes live. Lockheed executives said the company aims to deliver the modernized COps next month and help the Air Force install the system in the summer. “We have already made significant upgrades to the hardware and software of that legacy system, with a major cybersecurity overhaul that went operational last November,” Johnathon Caldwell, vice president for navigation systems at Lockheed, told the publication. The company expects COps to be operational in September.